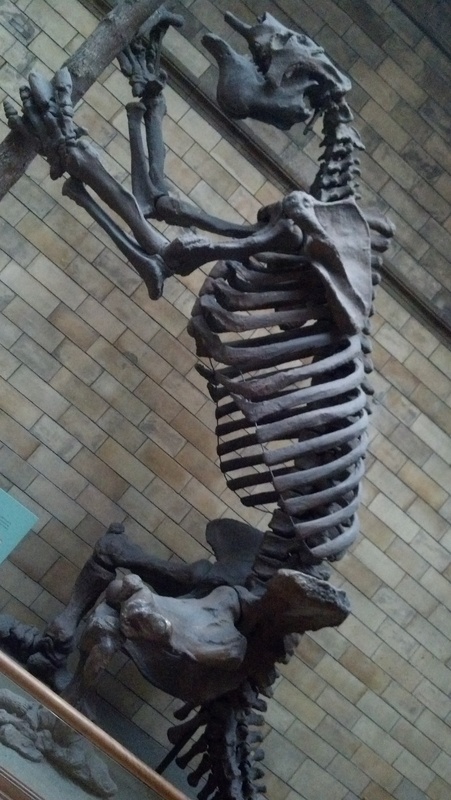 This is from the British Museum of Natural History, not the one in Zagreb, but you get the idea: skeletons! You will wonder how anyone could remember so much after years of not studying it and earning a master’s degree in something completely different. You will share his distaste for the geology sections of the museum. Sorry, rocks just aren’t my thing. You will be at once amused and horrified by the screaming kindergarteners who enter the museum to scream look at the displays, particularly of sharks; amused, because their excitability is so reminiscent of aforementioned former EB major’s excitability when you first entered the skeleton-stuffed animals-bugs&butterflies in glass display cases collection room (is there a name for that?) and horrified because, well, they’re screaming looking really loudly. You will realize again how insignificant human beings are in terms of size and strength compared to the rest of the animal kingdom. Especially whales. And you will realize that this is why you love going to museums: to be excited about the world, and to learn, even if it’s just learning (re-affirming, rather) that you are glad you don’t include taxidermy in your list of hobbies. *If there are any errors in my scientific knowledge/understanding, they are mine and mine alone. Boris knows what he’s talking about. That Boris is something else! I, who also was a bio-major, don’t remember all that stuff. Of course, I have had a lot longer to forget than he has. He’s a keeper!